Happy Bloggers Challenge Friday! Thanks to those who played along with last weeks Backgrounds Challenge, sorry I haven't had a chance to stop by and leave comments! This weeks Challenge theme Welcome Fall. Fall is my favorite time of the year! My card features some of my well loved stamps from when I was a Stampin' Up! 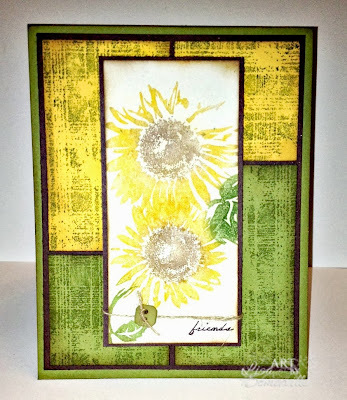 Demo, Serene Sunflowers and the Flannel Plaid Background! I seem to have managed to work myself into a small workable area in my studio again, I guess I know what I'll be doing this weekend. I think it may be time to do a stamp purge! If you'd like to play along with this weeks Bloggers Challenge, please link back to this post on your blog and mention you created your card for the Bloggers Challenge Welcome Fall Challenge. Please add your link using the Link Tool below, your link should be a direct link to your Bloggers Challenge Post, use your name as the Title. Please do not link to cards that were created prior to the challenge date. Entries not linking properly, or backlinked will be removed. If you have the captcha enabled on your blog, please consider turning it off, as it makes it so much easier to leave comments. Beautiful, Lisa! Love the flannel plaid background with the sunflower images. Lisa, Your card is so pretty. The image and the background go so well together. Aaaaack...your work space looks just like mine, Lisa! You still managed to create a gorgeous fall card. 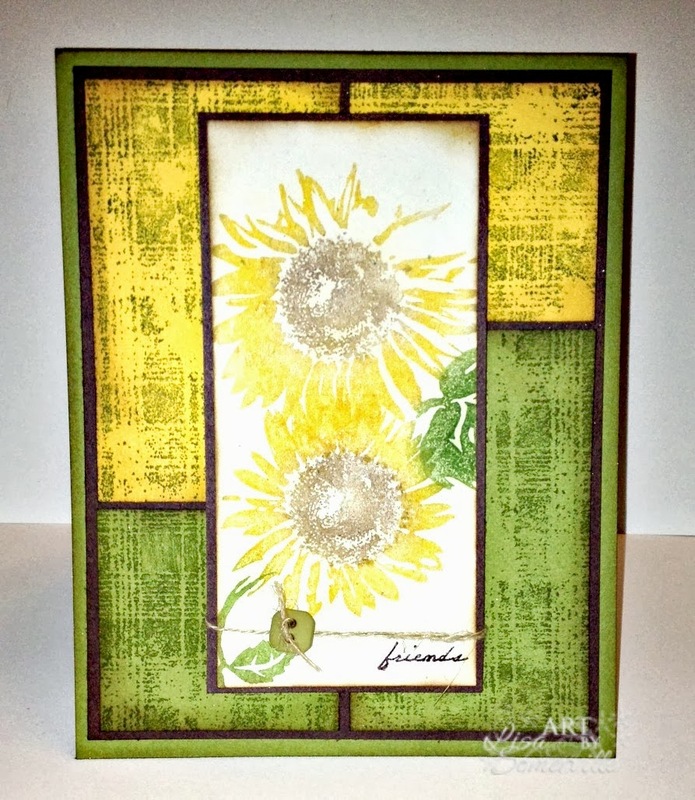 Love the panel design and the pretty sunflowers! Hugs! I have been working on my craft space to try and get it uncluttered for TWO WEEKs...yes that is me yelling...sigh...I am going on vacation tomorrow and I hope to leave a clean space behind. Lisa, I have been working on a project that is very "Welcome Fall" but it is not a card, can I post it here? If you have time will you e-mail me and let me know? My work space(s) always looks like that! I am amazed at times I can do anything! Wonderful card for Fall! Love the layers! Beautiful card! I love that plaid background!